Nissan and Italdesign partner up again to unleash their Godzilla prototype and its fantastic new styling at the Goodwood Festival of Speed. It's been a patient wait for many of us, eagerly anticipating Nissan's upcoming GT-R that will carry the R36 moniker and set to replace the current Godzilla that's been around since 2007. That's a long time in anyone's language. To stave off the insanity of that slow-moving clock, Nissan teamed up with the chaps at Italdesign once again to give us what you see in the gallery above, the GT-R50. Currently, it's only a prototype, but the radically restyled supercar has been considered for a very limited production series of just 50, possibly fewer. Which makes us very happy. 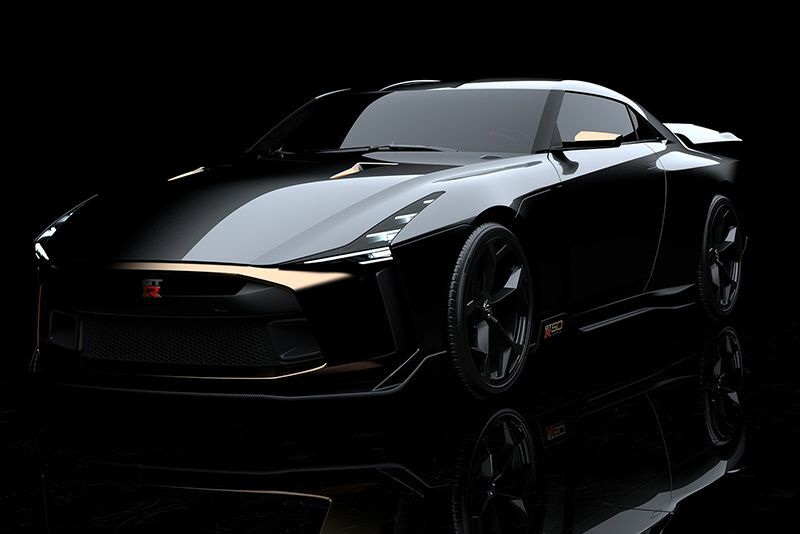 Described by the two companies as the “GT-R without limits” when it was revealed online recently, the news is it will be showcased to the public during the Goodwood Festival of Speed. This is all exciting stuff but, if it does get the go-ahead, it's going to be rather expensive. Approximately €900,000 expensive. That translates to around $1.05 million – to put that into perspective, the 2018 GT-R Nismo begins from $175,490. What you will get for all those dollars, besides that fantastic bodywork, is a pair of large GT3-spec turbochargers plugged into an upgraded 3.8-litre V6. The result is an escalation of power from the R50 Nismo's 600hp and 652 Nm to an estimated 710 hp and 780 Nm respectively. That's a tremendous amount of power so, in order to cope, the dual-clutch six-speed sequential gearbox has been reinforced and burlier differentials and drive-shafts installed. Each GT-R50 will be hand-built and tailored by Italdesign to their customers' delight and, with both companies serious about transforming the prototype into a production-ready model, they’ve set up a website where people can get in touch to place an order. If you want one though, best you get your signature on that dotted line before they're all snapped up. Don't forget to keep watching the Goodwood Festival of Speed for the prototype's world debut, we certainly will.